Does the beer lover in your life dream of his own kegerator? What better time to surprise him with one than during the holidays. However, when it comes to choosing the best kegerator for someone else, it may prove to be a bit complicated. There are many different types of kegerators on the market today and they all vary considerably in size, quality, price and ideal environment. Weighing the pros and cons of each type of kegerator can help you find the right one to give as a gift to your special someone. 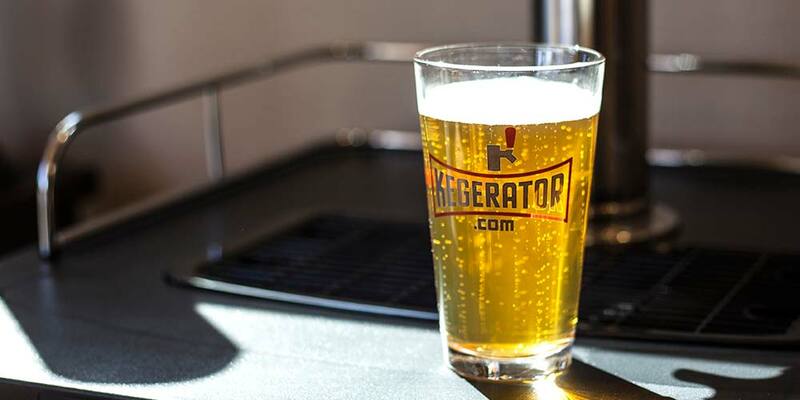 Before comparing the various kegerator configurations, it is important to be aware of precisely what a kegerator does. 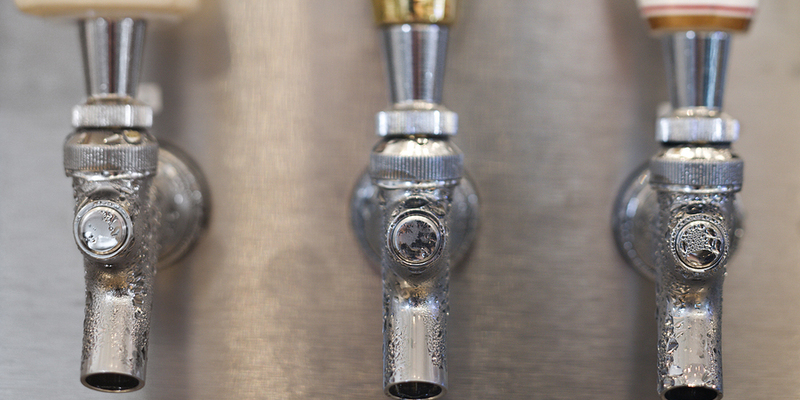 At its core, a kegerator is an appliance that keeps a keg of beer cold. It also provides a way to tap that cold beer so you can drink it at your leisure. Keeping beer at an ideal temperature prevents foaming, which makes beer difficult to drink. Foamy beer is also wasted beer, and no one wants to waste beer. A good kegerator therefore not only provides easy access to cold beer, it also keeps that beer fresh and delicious for as long as possible. Most avid beer drinkers, particularly those who entertain frequently or who are especially loyal to a specific brand of beer, will find a kegerator to be a useful and wise investment. Built-in kegerators are generally designed to fit beneath a counter, like a dishwasher. The tap then extends above counter height, making it easy and ergonomic for most people to reach. This design feature allows them to fit snugly into existing cabinetry. They are a great option for people who are looking to fill a space in an existing bar setup. If you choose to purchase a built-in kegerator as a gift, measure the space you believe the kegerator will go beforehand to be certain it will fit. Although slightly larger spaces leave room for error, they can also become difficult places to clean after the kegerator has been installed. It’s also important to note that built-in kegerators exhaust from the front. This allows the unit to efficiently dispense heat, preventing the compressor from over-working itself. There are many different built-in options available for you to choose from, however, you can never go wrong with a dual or triple tap set-up. This gives your giftee the option of having multiple kegs at one time. Below, we’ve listed a couple of great options to get you started. While there are many different types of kegerators, you can essentially categorize all of them as either built-in or freestanding. As discussed above, built-in kegerators are directly into your countertops. Freestanding kegerators are the most common style you will come across. If you think your giftee will want a portable unit or you’re just not sure where they will place it, then this may be the best style to purchase. Many freestanding kegerators are on wheels, making them easily moved from one location to another. These freestanding and mobile kegerators can be a great option for the beer lover who may not have an established bar or drinking spot. The kegerator can be moved from the garage to the kitchen or the backyard to the basement. Freestanding kegerators typically exhaust from the back of the unit. Because of this, they require approximately 2” to 3” of clearance around the unit so they will not overheat. It’s also important to note that freestanding units should never be built into your existing cabinetry, as this may cause the compressor to work harder than it needs, leading to a shortened lifespan of the unit. There are many different portable options available for you to choose from. Below we’ve listed a couple of great options to get you started. 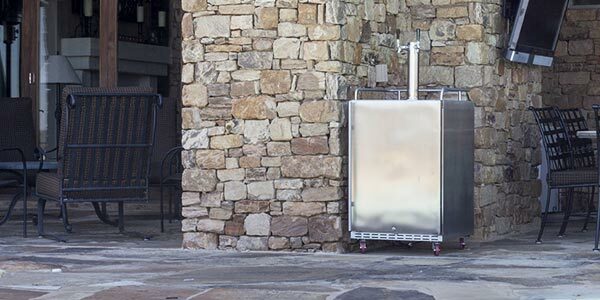 Outdoor kegerators can be either freestanding or built-in. The main differences is that they are made of strong, weather-resistant materials. Stainless steel is a popular choice for outdoor kegerators because it will not rust. They can be a great addition to a pool-side barbecue area or other outdoor entertaining space. They are more popular in warmer climates where they can be used more frequently. 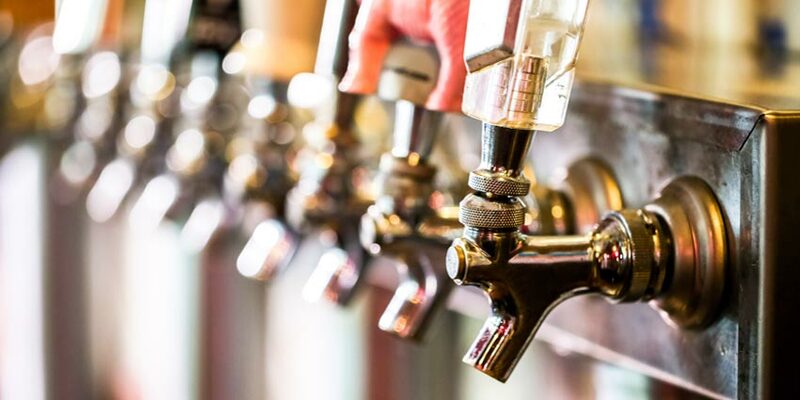 A beer dispenser is a big investment and many people would be disappointed if they could only use their outdoor kegerator for a small part of the year. Look for models with locking doors or models with casters that can be moved inside if the weather chooses not to cooperate. Below we’ve listed a couple of the most popular models to help get you started. If you are looking to purchase a kegerator for someone that brews their own beer, it is important to choose a model that works with the smaller, five-gallon Cornelius kegs that are commonly used among homebrewers. 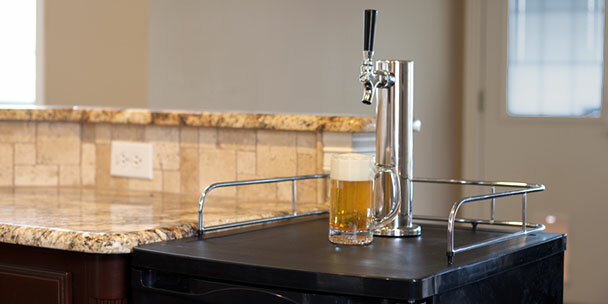 Luckily, conversion kits are available that can make many commercial kegerators easy to convert for homebrewers. 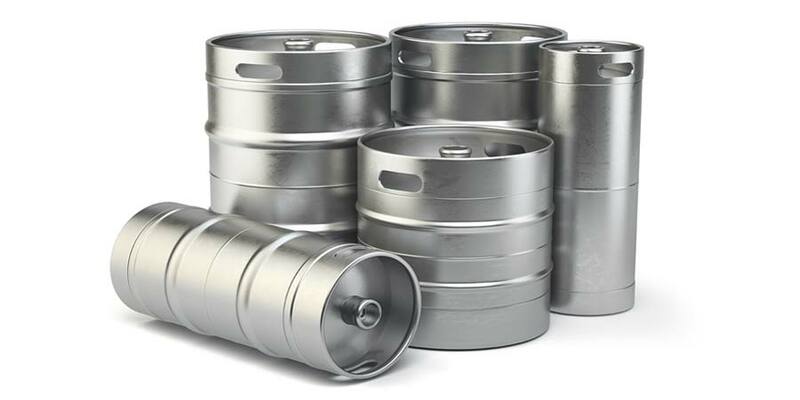 EdgeStar offers a variety of packages that combine their popular kegerators with homebrew kegs and conversion kits. Taking the time to be sure you choose an appropriately-sized kegerator and purchase any necessary extra equipment will definitely be appreciated by the homebrew lover in your life. In instances where neither money nor space is a consideration, commercial kegerators can dazzle even the most discerning beer aficionado. These sleek, high-quality appliances are typically designed for bars and restaurants, but will work wherever there’s enough space. Durable enough to withstand non-stop parties, these high-end kegerators often contain advanced controls, multiple taps, and additional storage. 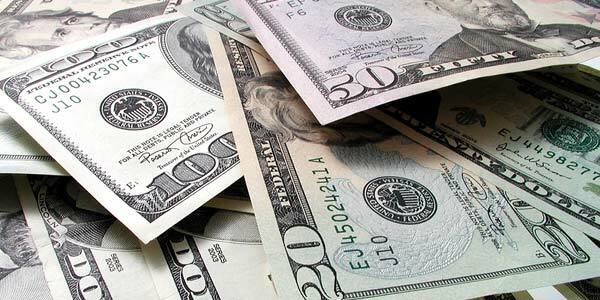 As with more modest built-in models, it is important to be certain the recipient of your generosity has a spot to put his shiny new toy, and it may also be wise to include any installation costs along with your gift. There are many options available for you to choose from, but here are two of our favorites. It should not be difficult to find the perfect kegerator for the beer geek in your life. 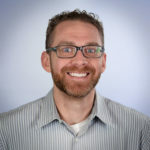 By doing a little research about how and where your friend or family member most often drinks beer and comparing that information with today’s available styles, you are certain to arrive at an option that will make everyone happy. Can you give me the name of a kegerator that fits a Coors light keg?